You are here: Home / The Garden / Gardening Mishaps / Why are My Seedlings (That Were Doing Great) Dying? Out of the 6 planted, 5 of each plant germinated within 3-5 days. and started growing strong. By week 3 I had true leaves and everything looked great. Then….I’m not sure….. I think I forgot to water for a day. I came over, everything was wilted and dried out looking. I don’t remember my seedlings drying out and dying so quickly. Also, if I forgot to water in previous years it always seemed like I could nurse my seedlings back to health. Not this year 🙁 I did a lot of pondering on it, because they had germinated and were doing amazing out of the gate I started thinking, what did I do differently this year? Nothing really except I used a new seed starting mix (I moved and I couldn’t get the same stuff I used previously). This mix worked great for germination; however, I think it requires me to water more often (or at least make sure that I’m watering daily) because there’s no extra moisture held in the soil. 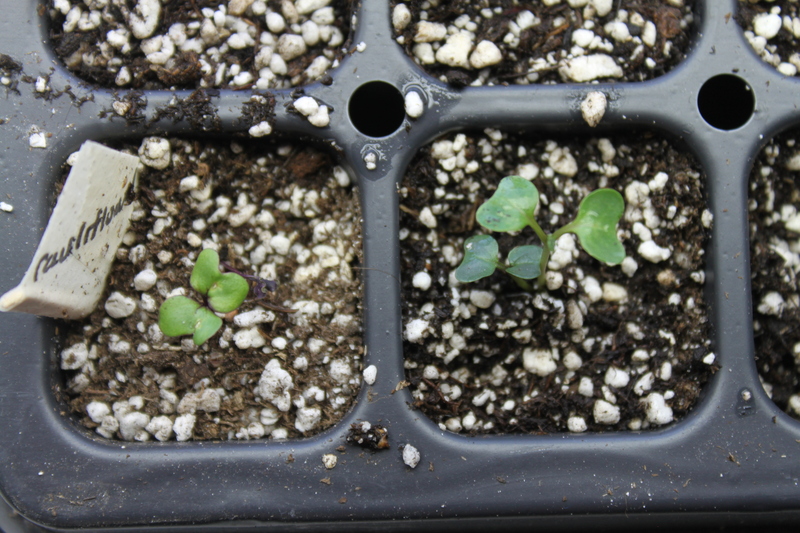 Here are my seedlings about 2 weeks after I started them, right before they got their true leaves. So, what am I to do? Well, I just ordered 4 of these Self Watering Seed Starting Tray With Capillary Mat off of Amazon (I threw the one I had used for the last 3 years away last year because it cracked) and I’m starting my broccoli and cauliflower seedlings again. I also decided to throw a few seeds out in a select area of the garden to see if they’ll germinate outside. From my experience, starting seeds outside leads to a much stronger plant but being in zone 5b there isn’t a ton I can start out there. So…The moral of the story, I would recommend getting a Self Watering Seed Starting Tray With Capillary Mat so that your seedlings don’t turn out like mine. Seriously, I thought I was a pro, but it turns out that the self watering seed starting tray that I threw out last year was doing more than I thought it was. I just bought 4 of these to restart all of my seedlings that have failed me and to make sure that I have the capabilities to self water ALL of the seedlings I’m growing this year. The GOOD NEWS – I can test out my theory that I’m probably starting my cauliflower and broccoli early for minimal benefit because I’m going to restart a second batch at 5 weeks before the last frost date (which is now) and see how they compare to the 1 waltham broccoli and 1 cauliflower that didn’t die from the batch I started at 10 weeks before the last frost date. 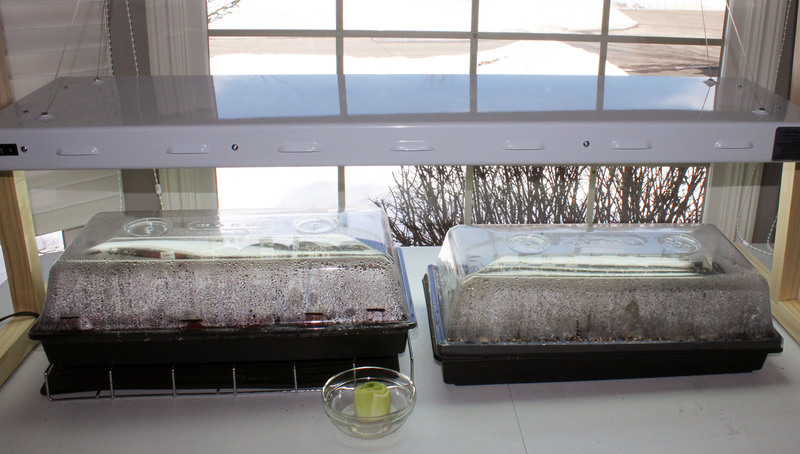 I’m also going to start the broccoli and cauliflower in 3 different seed starting mediums to see which works best (1) the mixture I used this year, (2) coconut coir, and (3) jiffy expandable seed pellets. Wish me luck!